I have finally given up trying to get the original vacuum restrictors from Mercedes in Germany. They are a hassle to order and one particular size is over $10 our cost! So I set out to make my own set of three as shown! One is unmodified and has a large standard opening. Each of the other two are partially filled with a slow drying super tough epoxy and then drilled (very small drill bits) through. These two have a different size internal hole diameter going form very small to medium in size. These orifices are used to restrict the QUANTITY of vacuum being delivered to the vacuum control shift valve (VCV). This is the valve on top of the injection pump that sends the proper vacuum signal to the transmission modulator. Larger size orifices can soften the shifts and smaller size will normally make shifting more firm. This of course depends on the condition of the vehicles vacuum system, proper VCV adjustment, and correct modulating pressure in the transmission. No instructions are included. If you have some epoxy and a numbered drill set you will be able to modify any of these on your own! NO INSTRUCTIONS ARE INCLUDED. Complete instructions are included in my manual "61x Diesel Automatic Transmission Tuning for Peak Performance." SEE related products below to order. 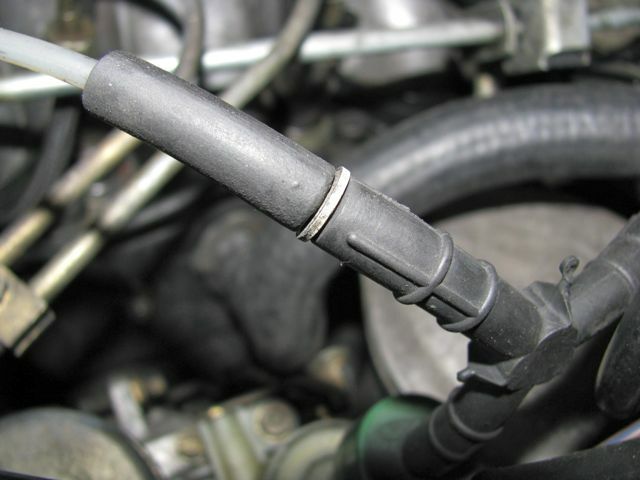 You can spot the location of the original orifice by looking for a colored band between the hose connections near the VCV. These modified orifices can be placed in the small location and they go in nice and tight so they will not leak or come off (even better than the originals because they have a barb on the end). 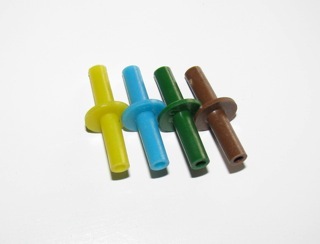 Below is a standard set of the original orifices. For your reference only. Lets face it! Diesel automatic transmissions can be troublesome, particularly those models that use vacuum to control shifts. This is largely due to the fact that diesel engines don't produce vacuum naturally. It has to be artificially manufactured.